As we get ready to celebrate our Independence Day here in the United States, I got to thinking about how fireworks can be both celebratory and explosive. You must learn how to handle these explosives and take great care in order to avoid personal harm. Our finances too can be something to celebrate when we learn how to handle them and are careful to protect ourselves. If you don’t really understand personal finance, you should take the time to educate yourself. Look for people you trust and who manage their money well. Ask for their advice. 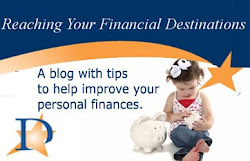 Go online to personal finance sites and blogs to learn more – Destinations Credit Union has great resources on our website including “On Your Way” (geared toward young adults), as well as this Blog. We also have some great tools, such as Money Desktop, to help you manage your money better. You must protect your credit rating in order to make life easier (and cheaper) in the long run. The better your credit rating, the better your interest rates on loans. If you destroy your credit by borrowing too much and not paying on time, you may eventually not be able to borrow at all, or be forced to borrow at exorbitant rates from payday lenders. That can cause your whole financial picture to blow up. We all need credit from time to time – to buy a car or a home in particular. If you find you’ve already blown up financially, Destinations provides free unlimited financial counseling through a partnership with Accel Financial Counseling. Care for your financial well-being as you would for your family or your health. You’ll find you’ll be celebrating your own Independence Day – financial independence and a more comfortable future! Are HELOCs A Good Idea These Days? Still Not Saving? You're Not Alone!